thanks to everyone who waited around for us to sort out the final results and graciously accepted their prizes. For anyone else who won a prize but didn’t attend the prizegiving (see results page to find who you are) then your prizes are behind the bar. A big thanks to all the race officers and support crew and Tony Padbury for doing the results as well as all the sailors who braved the wintery elements to make the series so successful, let’s have the same again if not better next year! many thanks to all those who helped lift in go so smoothly especially Paul Spratt for directing, Ryan Peacher & Dan Henderson who were excellent lollipop men, (job for life there boys) Steve Hopper for weighing the 3 very underweight sandhoppers, (Rupert Chris and Nick are looking for 3 tonne of lead if anyone has some?) Jason & Roger whose skill and speed is second to none ensuring our boats are delivered to their moorings. the Stig for showing all how to drive those fabulous machines, and finally to lisa farrall for organising the lovely dinner which was enjoyed by 80 smiling faces. We were all very pleased to see 18 of our friends from MBSC who helped make the evening such a success. we all must of been so excited (hungover) to be racing on sunday that we were all disqualified for missing the general recall, happy days, more of the same this easter weekend. Finally we get round to Sandhopper Lift in this Saturday 27th March, its been a long cold and very wet winter where the Sandhopper owners have taken every window in the weather to make their boats racing ready for the new season, they all look in absolutely tip top condition which is fantastic for the class and our club. The Sandhoppers are the largest One Design Keel Boat Class on the Thames Estuary and there are only a handful of locations round the country where they can boast any one design fleet above 30. This is a great turning point in the year for me with the boats out on their moorings means summer is not far away. If you haven’t seen our friendly Local Farmers Roger and Jason Burroughs in action with their fantastic machinery then be at the club from 2pm onwards on saturday to see machine masters at work. 2hrs later and 35 boats will be on their moorings….ready for racing on sunday morning, lovely. Easter Hog Roast tickets are still available behind the bar and from Jo in the kitchen. Get yours quick before they all sell out! The event of the year, one not to be missed out on! Only 120 tickets available, so book early! You can now download Newsbuoy Edition 2 (March 2010) from the link at the top of this page, you can forward it to those friends who may be in other parts of the world for them to keep tabs on TBYC. Also can everyone who has booked tickets and not yet paid please can you put the money in an envelope through the club letter box before Friday if possible? Many thanks!! Duty swap (Race Officers) required for Paul and Lucille Palmer on 14th August. Please phone 07799674217. It is with very great regret that I have to tell you that Alex Moon, dear husband of Ingrid, and father of Harriet (aged 9) and Imogen (5), passed away last weekend after a long fight against Motor Neurone Disease. He was just 39 years of age. I spoke with Ingrid earlier today, and she told me that the funeral will be at the Southend crematorium, West Chapel, on Thursday, 18th March at 2.40 pm. with an invitation to everybody to go on to Thorpe Bay YC afterwards. Alex loved his sailing from a very early age, and Ingrid wishes that as many of his friends as possible attend the funeral to give him a good send off. Please would you let everyone else know that they would be most welcome. Ingrid would also very much like to see Alex transported in a “sea of flowers”, which can be arranged by contacting Stephen at Scent on the London Road at Leigh, tel: 01702 471818. This would be in preference to any donations, since Ingrid and her family, have already recently raised some £20,000 for the charity. Furthermore, if you have any snippets or special memories relating to Alex, and in particular his sailing activities, please would you convey them to Ingrid, preferably, but not necessarily, before the funeral. Ingrid would much appreciate this, so please do your best. Alex and Ingrid sailed at The Halfway Yacht Club for many years, first in their Albacore ‘Bilberry’ 6417 and then in ‘Castor and Pollux’ 6683. 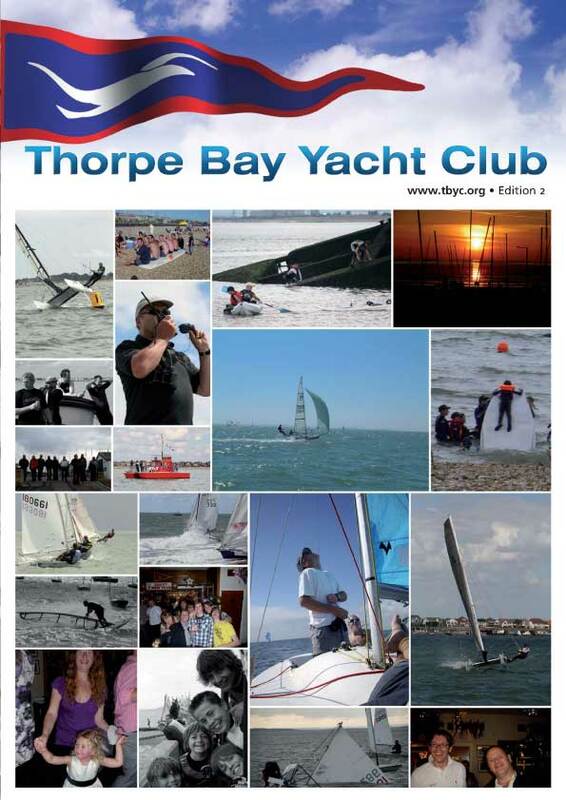 They latterly joined Thorpe Bay Yacht Club along with many other HYC members, when HYC closed down. Alex managed only a few years sailing at TBYC, but continued to watch the racing intently from their beach hut. Alex and Ingrid were also members of the National Albacore Association and attended the ‘Nationals’ on several occasions. Ingrid would like it to be known that the family has absolutely no intention of selling ‘Castor and Pollux’, because Harriot and Imogen, who are already sailing, want to sail her in years to come.